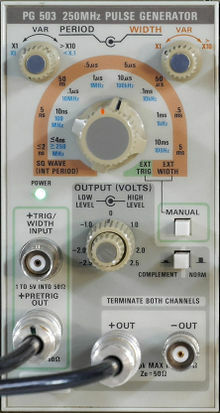 The Tektronix PG503 is a high speed pulse generator plug-in for the TM500 system. It produces complementary pulse outputs on BNC or optionally on SMA connectors in the front panel. This page was last edited on 3 April 2019, at 03:50.